Your interests are important to us. We aim to get you the best possible result, including staying out of prison. We can help you right from the start when a charge is laid against you, for bail, for defending the charges in a trial or getting the best sentencing outcome. We believe in the presumption of innocence – this means that you are innocent until proven guilty in a Court of Law. This is an important legal right that everyone in New Zealand has and we will stand up for this very important right on your behalf. You will not be just another case but a real person who deserves a real chance. Contact me and we can make a detailed plan as to how we can deal with the situation together. Are you charged with an assault against someone you know or from a situation that got out of hand? There are always two sides to every story, especially when alcohol is involved. We can help you get your side of the story across and give you the best chance of being believed. Assault charges can range from being very minor such as common assault but can extend to charges that carry imprisonment such as wounding, murder or manslaughter that would result in a term of imprisonment. You need advice early to ensure you have right medical evidence and expert reports. I can tell you about the strength of your case and if defences such as self-defence are available. I can assist with witness preparation to give you the best possible chance of succeeding. I can also give you advice about whether to elect trial by a Judge or to go for a Jury trial. If you would like to resolve the matter my team can assist you in negotiating with the police, obtaining diversion and getting a discount for early resolution. There may be other courses you can also do to get a reduced sentence. Any kind of robbery or kidnapping is considered to be extremely serious by the Court and would ordinarily result in starting point of a sentence of imprisonment. You need accurate legal advice to weigh up your options and to ensure that you know the strengths and weaknesses of your case. I can give you specific legal advice including how identification evidence works, likely sentencing tariffs, whether you should give evidence on your behalf and what you can do to improve your chances. I will ensure that you receive a robust defence. Avoiding a drug conviction can be very important for your future. Drug charges range from simple possession to more serious charges that have severe implications for your future that can restrict your ability to get a job or travel. I have particular expertise in search warrants, cellphone searches or phone interception warrants. These methods are routinely used by the Police these days to gather a large amount of data about people’s movements and interactions. It may be possible in some cases to challenge these searches resulting in the exclusion of evidence obtained by the Police. It is very important that you have a lawyer that can identify any possible issues early on to improve your chances of success. I can help with cases involving Class A, B and C drugs including cannabis, methamphetamine, cocaine, heroin, MDMA, precursor substances and more. Any charge of a sexual nature can be hugely stressful and make you feel like you are on the back foot. These charges can also alienate you from family and friends and you need a lawyer that will give you confidence in the process and give you realistic advice about your situation. Most sexual offences are viewed seriously by the Court and you need the best possible legal advice. 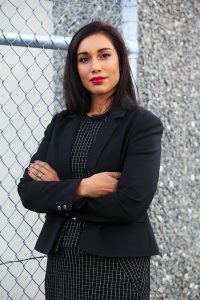 Even though there may be only one main witness or the witness is young, sexual charges need a lawyer with careful skill and expertise to navigate through the process. I am able to assist you with ensuring that you get a robust defence if you are defending the charges. I can also give you accurate advice about discounts for early resolution and how to reduce a sentence you may receive. Set up an appointment with me so that we can give you the best possible advice. Any dishonesty conviction is serious for you. You need a lawyer that pays attention to detail and can analyse what evidence there is against you. If you are trying to avoid a conviction or want to defend any dishonesty or fraud charge I can help you. I can help to locate experts such as forensic accountants or computer analysts to put forward your best defence. I have a great deal of experience with driving and traffic matters. Even though the charges don’t seem serious they can leave you with a conviction or have a disqualification period which can hamstring your life, especially if you cannot work or support your family. There are a number of ways to avoid a conviction or disqualification period. Call us early to get the best possible result and I will assist you with your legal options that will suit your life. Some traffic charges can still result in you getting a criminal conviction so it is important that you understand what these charges are before you chose to plead guilty, even if the charge may seem minor. We can help to ensure that you can your record clean. I can help you to quickly obtain a limited licence at a realistic price. There are no hidden costs and we will give you a flat rate to get your limited licence. I can send you our quick and easy limited licence questionnaire which will result in the documents prepared in just 24 hours! I can assist you to ensure the best chance of a successful bail application. I will ensure that the Court has the right information about you. A bail application that is not put forward correctly in the first instance may cause you a lot of problems in the future. It is important that you have a lawyer that can address the issues or concerns that the Court has in an effective way. In some cases you may be on bail for around 2 years before your case comes to trial so it is important that you have bail conditions that work for you. You may be granted bail with conditions such as a curfew or electronic monitored bail. Any bail conditions are a restriction on your liberty and I will ensure that the conditions are imposed are necessary by law. In some situations you may be able to change your bail conditions if your situation changes or there are exceptional circumstances. If your bail has been declined by a Court then you may be able to get a rehearing or Appeal the decision. Contact me to discuss your options on bail. Appeals require expert skill in order to ensure that the right matters are appealed and that they are presented in a concise way to a higher Court. I can assist you to make sure that the decision made was the right one with established law and also take into account the specific facts in your case.